The notable comics writer and editor Bill Dubay passed away a few days ago, and I just wanted to note it. I’ve enjoyed a good number of his stories for the Warren magazines and even wrote at length about one of them when I was older and more sentimental. It can be found here. Tom Spurgeon has an informative obit up, and there’s a recent interview here. Rest in peace. 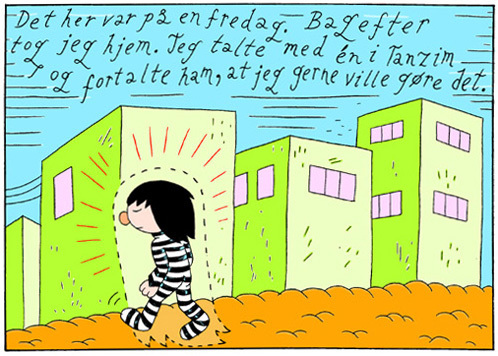 Ron Regé Jr. in Copenhagen this week! As announced on the Comics Council webpage, the great American cartoonist Ron Regé, Jr. will visit Copenhagen this week, and participate in no less than two Council-organised events. On Tuesday 27 he will give a presentation of his work and talk to Christoffer Zieler in the bar of the Department of Art and Cultural Studies at the University of Copenhagen (room 21.0.17), 4.30 PM. Free admission, cheap drinks and good vibes, so be there! Facebook. And on Thursday 29 he participates in the second Comics and Beats event at Ideal Bar, Vesterbo (peep the flix from the first event here). He will be joined by cartoonists Rasmus Bregnhøi and Christian Skovgaard, and — once again — M. Dejean on the wheels. Council chairman Thomas Thorhauge will be MC. Free admission Facebook. Big G Rest In Peace! Keith Elam aka. Guru Rest In Peace. The programme for the international comics symposium that I’m co-organising at the University of Copenhagen in connection with the comics festival Komiks.dk, is now ready. The symposium presents papers from 12 international comics scholars on a diverse range of subjects in contemporary comics, features a keynote from Canadian scholar Jacques Samson, and a special appearance by Chris Ware, in conversation with British expert on comics Paul Gravett. The full programme, including abstracts, is available on the symposium’s official website, where you can also sign up. Check it out — and come!! 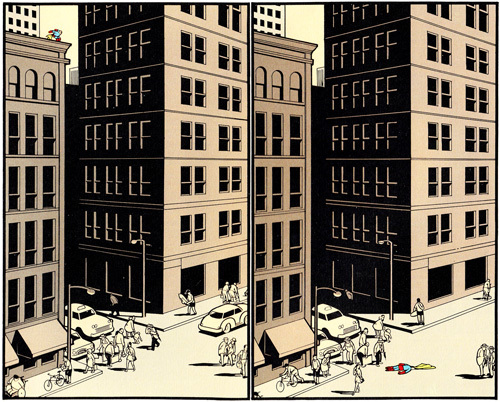 Image from Chris Ware’s Jimmy Corrigan — The Smartest Kid on Earth. Hype: Will I Go to Hell for This? My man Lars and co-authors Rasmus and Jacob, are about to drop a brick of Danish graffiti history with the book Will I Go to Hell for This?, which will be on the bookshelves on Monday. 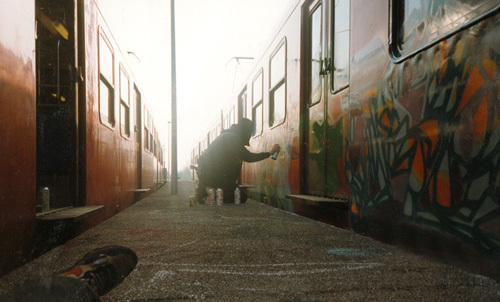 A hardcover, 264-page, full colour coffeetable book, available both in Danish and in English, it presents the history of Danish S-Train graffiti from the pioneers of the early 80s till today (1984-2009) in 600 photos and 75 interviews with Danish and international writers. Looks like a must-have to me! And if you’re in Copenhagen, today’s the release party! It goes down near Lygten Station, next to Nørrebro Station. The book will be for sale at the event for DKK 400 — bring cash, no cards accepted. Other limited edition goodies will also be available. Music will be provided by Slick Nick & Dulfi, DJ Cars10, DJ Swingking & Funkcutter Old Chesse, Dj Skinny Pimp, and others. Here’s the Facebook page for the event. Release parties are also scheduled for Århus, Stockholm and Oslo — check the official blog, or the book’s Facebook page, for more info. As mentioned earlier in this space, it is really sad that Fabrice Neaud’s comics have failed to generate translations. Now, however, publisher Ego comme X and Travis Leland-Maplesden present an online translation into English of the short story “Émile”, which was first published in the anthology Ego comme X #7 (2000) and is also available online in the original, French-language version. While perhaps not the ideal introduction to Neaud’s both ground- and heartbreaking autobiographical work, it’s as good as it gets for his short stories. Written at a time when he was experiencing a draining personal blowback, including lost friendships and threats of violence, from having portrayed the people around him as honestly as he could in his masterwork Journal III (1999, recently released in an ‘augmented’ edition), it aspires toward emotional distancing by the non-portrayal of the people about which it nevertheless hovers attentively and analytically. An understated, powerful piece — personal and political — that I can only urge you to read, or re-read. With combined holidays and work backlog, blogging is still on partial hold here, but normal service will return soon enough. In the meantime, I’d like to take a moment to plug another event in which I’m participating later this month, the conference Laughing at Art: The Study of Humour in the Visual Arts at Pembroke College, Cambridge, April 29-30. It will see papers on a wide variety of topics relating to humor in the visual arts, and includes keynote addresses by no less than three distinguished people, Robin Simon, Hogarth scholar and editor of The British Art Journal, Dean Mobbs, fellow in biological and cognitive neuroscience at Cambridge, and the great Quentin Blake! My own contribution will be an assessment of the comics and cartoon theory of Rodolphe Töpffer (1799-1846), on whom I’ve written before. I’m looking forward to it all, and encourage you to go if you’re able to! More information and registration form here. 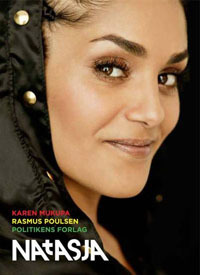 Med bogen Natasja har Karen Mukupa og Rasmus Poulsen ristet en mindesten til dansk reggaes største talent og en af landets fineste sangere gennem de sidste tyve år, Natasja Saad, der i 2007 tragisk omkom i en bilulykke på Jamaica i en alder af 32 år. Det er på sin plads, for Natasja havde længe arbejdet i relativ ubemærkethed og var kun netop ved at bryde igennem som den folkelige kunstner hun alle dage havde været, da hun døde — hun fortjener og kan bære en sådan udgivelse. Desværre er resultatet, skønt gode kræfter, en noget ujævn og i sidste ende uprofessionel affære. Natasja ikke en mindebog eller en musik-monografi, men en biografi, slet og ret, og leverer følgelig en detaljeret fortælling af sin hovedpersons liv. Det fremgår ikke helt, hvorledes arbejdsdelingen mellem de to forfattere har været, men det er tydeligt at bogens grundlag er Mukupas egne oplevelser som Natasjas nærmeste veninde samt musikalsk samarbejdspartner gennem det meste af deres liv. Musikjournalisten Rasmus Poulsen har formentlig leveret noget af det mere opsøgende arbejde, inklusive de mange interviews og vidnesbyrd bogen samtidig trækker på og har måske sørget for noget af den bredere musikalske, kulturelle og politiske kontekst, Natasjas liv løbende indsættes i. 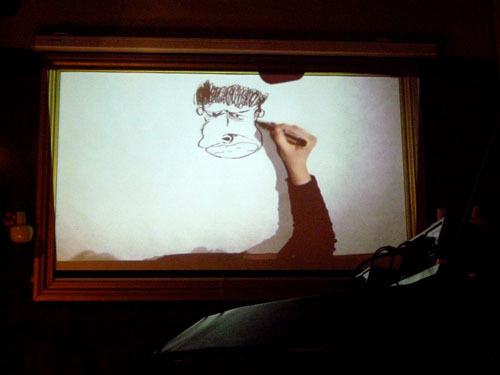 Last night saw the first iteration of Comics and Beats in Copenhagen. Presented by the Danish Comics Council in collaboration with the venue, Vega, it united cartoonists Rikke Villadsen, Philip Ytournel and Christoffer Zieler in front of a live audience, drawing to the tunes selected by DJ M. Dejean. The event was very well attended and inspired some fine artwork from those involved. Stay tuned for part two at the end of the month, featuring Ron Regé Jr. Check out photos from the event at the Comics Council website, courtesy Mads Bluhm.